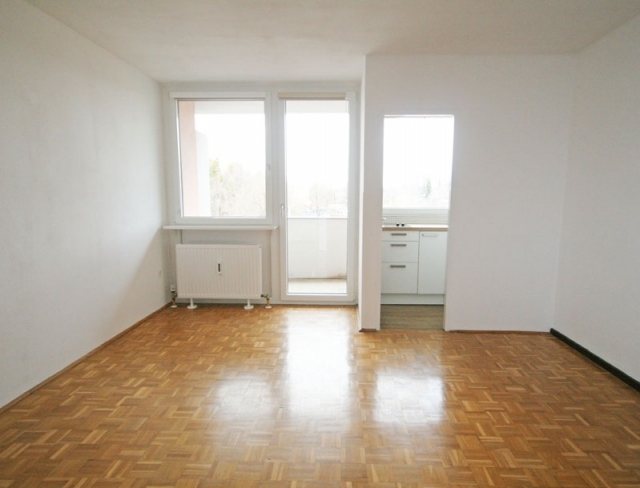 25.91 m² studio apartment with a practical layout and 4.64 m² roofed balcony on the 3rd floor (= top floor), basement storage compartment, parking space available for rent; approx. 3.5% yield for investors. 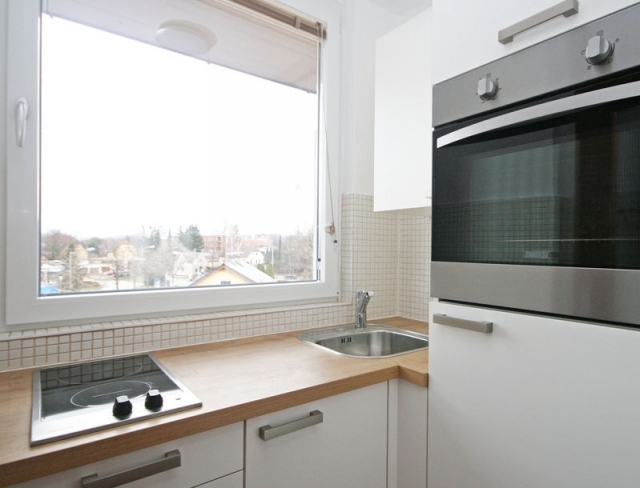 Central location in Liefering-Süd with excellent infrastructure in the immediate vicinity and leisure enjoyment along the Glan stream. The city centre is quickly accessible by bicycle and the airport is nearby. A charming apartment awaits: the vestibule leads into a light-flooded and spacious living/dining area with a cosy bedroom niche and roofed balcony with a splendid view of Maria Plain. The fully equipped kitchen is in mint condition and enjoys a large window. 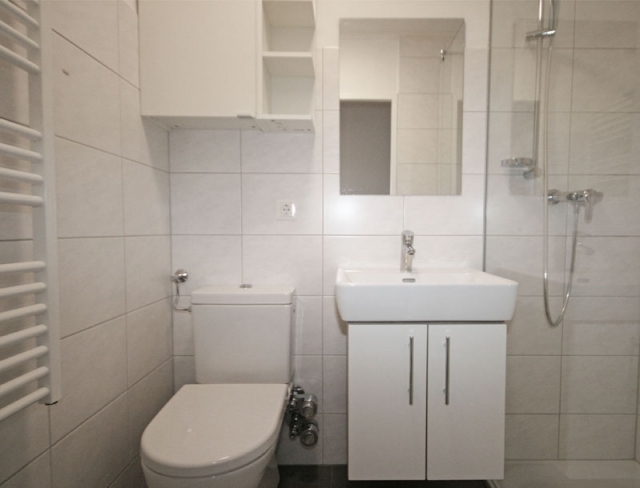 The stylish bathroom is equipped with a shower, basin with a floor cabinet, cupboard, mirror, heated towel rail (currently not connected) and WC. Building constructed in 1975, parquet flooring in the living/sleeping area, communal laundry/drying room and cycle storage area, cable TV.